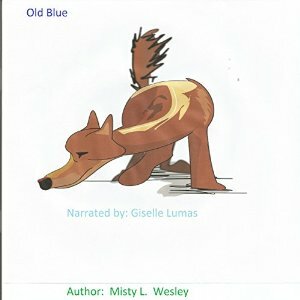 I received a free copy of this book from audiobookbookblast.com in exchange for my honest review. This story was super cute and heartwarming. Believe it or not, there were parts that had me on edge a little waiting to see what happens. 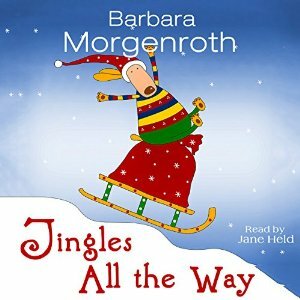 I am glad it worked the way it did for Jingles. This is a cute story for children. My job entails sometimes transporting young children and this is a book I will definitely share with them. I received this book from Audiobookblast.com free in exchange for my honest review. I have not been paid for my review. This book was cute, and quick. The big hang up was the narration. The narrator was fine, however, the quality was sub-par. There was an echo to the narration and it felt like it was being narrated far away from the microphone. Cute book for kids! This book should be able to hold a child’s interest. And it is true, sometimes are little furry friends find us, not the other way around! 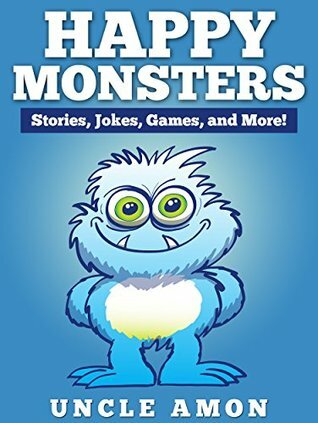 I was given a copy of this book for free through Audiobookblast.com in exchange for my honest review. I have not been paid for my review. These opinions are my own. This book is a Middle Grade adventure of Karim, a young boy, who finds a Djinn’s lamp (the Djinn’s name is Zimmah). Karim wishes for the world to be a happier place, and WHAM! Everything is dessert. EVERYTHING. #Candypunk Though this world should be a happy place, there is a war going on between the Cupcake King and the Brownie Queen. Rewinding a bit, prior to finding the lamp, Karim overheard an argument between his mom and dad. Karim has gluten allergies. His father was supposed to pick up vegan gluten free brownies for his birthday his mom had special ordered, he forgot. So Father went to a different bakery, believed to be gluten free and brought cupcakes, which after mom swatted them out of his hands, engaged in a verbal altercation. Results? Dad asked for a divorce. The Cupcake King is Karim’s father, but the King does not know Karim in the new setting. The Brownie Queen is Karim’s mother, and again, does not know Karim. Karim races through the story with his dog (turned into a Lion) trying to get Zimmah to turn the world back to normal, and that a world made of treats was not what he meant by Happy World. Karim learns that his parents will always argue. Always. He learns through this adventure that he can be happy even if they are not together. There are a lot of lessons that Middle Grade kids can learn and take away. The lessons are presented in a fashion that are enjoyable and not in your face about what the issues are. My only qualm with this story is that the story ended, the lamp was tossed in concrete to be buried, but there is a second book. It is not a traditional cliffhanger, just confusing. I do look forward to reading the next book though! This review contains spoilers. Through the ENTIRE review. I don’t usually do that, however, I cannot explain my rating without telling why. The One and Only Ivan is such a sweet book. It is a fast read told from the perspective of Ivan, a Silverback that was captured in the wild when he was a young gorilla. He was ultimately brought to a roadside Big Top circus by Mack, the man who bought him when he was captured. Ivan thinks his life is perfect the way it is, he does the same thing everyday and never really thinks anything about it. One day, a baby elephant named Ruby is brought to the show in order to bring more people in. The older elephant, Stella, immediately takes to Ruby and helps her get adjusted. But one night, Stella dies, leaving Ruby all alone. Ivan made a promise to Stella that Ruby would know better in the world, and not be left in that Big Top like the rest of them. After Stella’s death, Ivan thinks and thinks of ways that he can get Ruby to a Zoo where she could be taken care of by good people and run with other elephants. Finally, Ivan gets an idea. This idea is sparked through his love of art, and a little girl named Julia (her father cleans the Big Top every night after it closes) provides Ivan with finger paints and teaches him to use it. Ivan sees a commercial for the local zoo and paints a picture on MANY pages of paper. Once it is complete he tries giving it to Julia so she can see it. Julia doesn’t understand, but eventually sees letters that spell out the word HOME. Julia and her father set to figuring out the puzzle and eventually see that Ivan painted a picture of Ruby at the local zoo (logo included) with the word HOME at the bottom. Julia begs her father to put the sign up over the current billboard logo, and he finally relents. The next day lots of people show up at the Big Top to see Ivan and Ruby. There are also protesters outside of the Big Top. Eventually a news crew comes by to take photos of Mack and Ruby, and of Ivan. During an interview with Mack, the cameraman goes around the Big Top and spots the claw-poke that Mack uses to get Ruby to do tricks. You know the one, that circus trainers poke the back of elephants with? The really MEAN device….and this claw-poke gets aired on TV! The next day, an inspector comes to inspect the Big Top. After that, someone comes with a Ruby sized crate, and will click a clicker whenever Ruby touches it and gives Ruby a treat. After that, an Ivan sized crate comes and the same process is repeated. Finally, both boxes arrive. Ivan goes into his box so that Ruby will not be scared. After Ivan goes into his crate, he is sedated. When he comes too he is in an enclosed room with a bunch of people who are taking care of him. Soon, the lady who brought the Ivan sized box comes in and puts a show on TV for him. It is of gorillas. Two females and a juvenile male. He notices there is no silverback to protect them. He watches them. Everyday. Until one day, the woman opens the windows. Ivan looks outside and sees the gorillas he has been watching on tv. The zoo slowly introduces him with the other gorillas. One day while out in his zoo jungle, he goes to the highest peak. Where he can see Ruby playing with the other elephants. Ivan is very happy. Ivan is finally home. This book made me cry happy tears. The change in Ivan when he accepted that Ruby deserves better than what he has grown up with. Ivan did not remember prior to be captured. He only remembered being at the Big Top. This book was very moving. I found myself entranced, even in the simplicity of the writing. Simplicity is not always a bad thing. There was no need for fluff in this story. Applegate did not need it. If you want to be moved, I suggest it. Even with the spoilers I provided, I left out a lot. I have never read this particular writing style, but I enjoyed it. I have wanted to read this book for a long time, so I am glad I finally bought the copy to read. I may need some time to process this story. It took me approximately 16 days to get through it. It normally does not take me 2 weeks to read a book. This book was roughly 260 pages. I can generally read that in one sitting. This book is basically about Hansel and Gretel and them going through multiple stories of the Grimm fairy tales. This book was gruesome in parts, over the top in parts, and wildly entertaining in others. Is it my favorite retelling I have ever read? No. Will I continue on with the series? Eventually. I am not in any rush. I think this book would probably be great as an Audiobook. There is some extra outside dialogue in the pages that is very entertaining and I think a narrator would have been perfect! Specifically I think Nick Podehl would have been great! (He narrates the Chaos Walking series by Patrick Ness). I do think the mashup is pretty nice and different. I like how two children from one tale made their way through a chunk of their life and intermingled with other tales. Even though it took me some time, it was a nice, easy, read. I don’t really know what took so long, especially since I was reading and completing other books. I think, mainly, I had to read it in parts to maintain my interest. Hansel could be a bit much from time to time, but so could Gretel, and I would find it annoying. That is where I leave it, great writing, just okay characters, and gruesome (sometimes hard to believe it is a children’s book). I received this Audiobook in exchange from Audiobook Blast Dot Com by the author/publisher/narrator in exchange for my honest review. The book lasts about 12 minutes. It is about Ella and her trickery. No one was safe from Ella’s antics, including her sisters, the Prince, and Paul (another boy she fancied). The sisters were trying to get even with Ella for all the problems she causes for them, but then they messed up and decided they really couldn’t kill their sister. In this story, the sisters are good and Ella is bad. It was wonderfully narrated, and the rhyming was really fun. It was a very short book/quick listen. All of these were cute little stories! Very enjoyable. Below are some that I have taken a special liking too. I highly recommend this book for those of you that are teachers or have children 🙂 Some of these stories also have activities that you can do with your children to get them to think further on the story you have read with them. In regards to other Amazon reviews, specifically the 2 star reviews: I am not a friend of the authors. I am a random reader that was browsing the free kindle books. This review is my own. If your children did not like it, then I am sorry to hear that. If your children did not like it because there are not a lot of pictures, then I am sorry. Not every book needs pictures, an imagination is a wonderful thing and unfortunately it is wasted a lot these days. These stories are very cute and have great meaning. These are not typical stories about nonsense, each story has its own lesson. They are very short and to the point. This book is also free. I feel you can’t really complain about a book too much when it is free. Maybe that is just me 🙂 If the stories were completely horrible I would say so. Free or not. I would just say, hey, don’t waste your time or download space on this free book. At the end of the book there are games and puzzles such as pictures to spot differences, mazes, and a free book download. I think this story has a great lesson that was delivered in a great way for young children. So often young children give up when they do not succeed the first time, or even a second or third time. I think how Argo’s mom handled this situation was very nicely done. It is very important as parents to handle an unsuccessful first, second and third try with care but with encouragement. Again, this story is so important right now, and I really do not think that I have to go any further as to why. If you reading this review do not know why, turn on the tv right now to any news station and you will see. Any story. Any station. Anywhere in the US, or the world for that matter. If you do not know how to teach your kids, or know the right words to express to your children on how to be like Gigi, just let them read stories like this. It will do the work, not because you aren’t a good parent or incompetent, that is not what I am saying at all, so please do not take offense. Sometimes, the job of an author, is to get a point across in a way that we as adults often can’t anymore.